Before I begin, I must apologize for running so late with this first look. 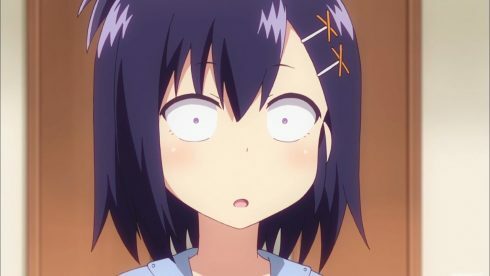 I was traveling for the latter part of last week and the beginning of this week, and was thus away from my computer, away from a good internet connection, and away from all the resources I use to watch anime, take screenshots, and create reviews. 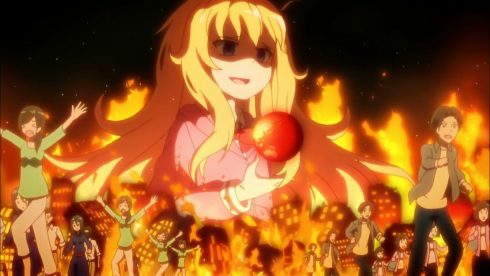 I hope you all won’t hold it too much against me. 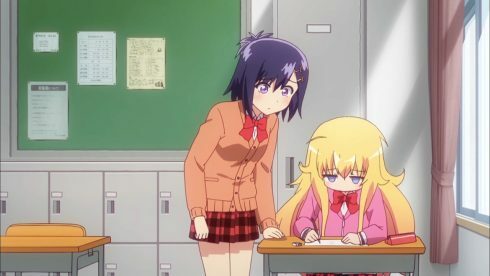 Anyway, Gabriel Dropout is a series I’ve been looking forward to, as it is being adapted by Doga Kobo: the studio that is, in my opinion, the masters of cute girls doing cute things series. 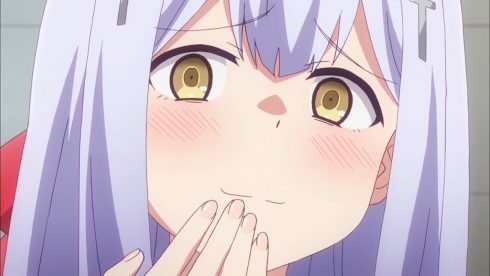 Their previous series, New Game!, was my favorite series of the summer season, so if this was even half as engaging as that I knew I would come out ahead. 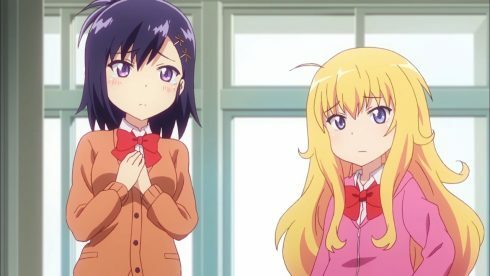 As it turns out, Gabriel Dropout is somewhat different than New Game!, but it still maintains that comfy look and cute girls doing cute things feel. 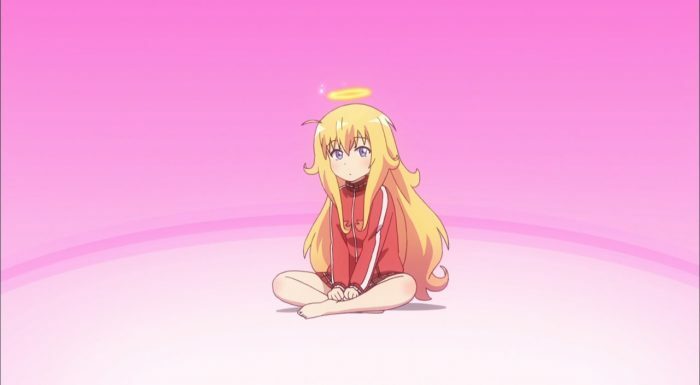 The basic premise of Gabriel Dropout is that young angels and demons, after completing their basic schooling in Heaven and hell, travel to Earth to live among humans for a time, and once they return they are considered to have completed their education and will be accepted as true angels or demons. 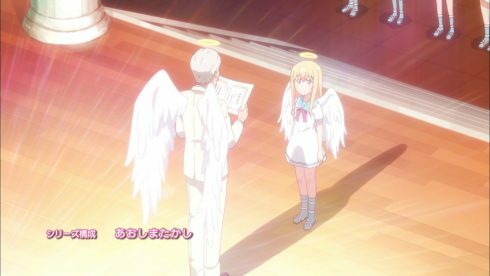 The title character, Tenma Gabriel White (aka Gab), was the best of her class in Heaven: a shining example of all that Angels should be. 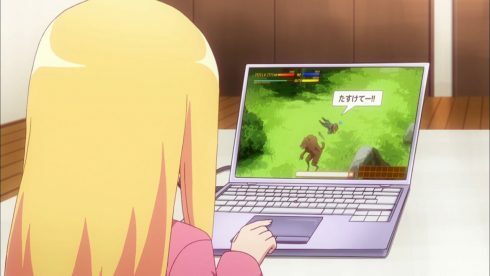 However, after descending to Earth she discovered the lure of human entertainment: specifically video games. 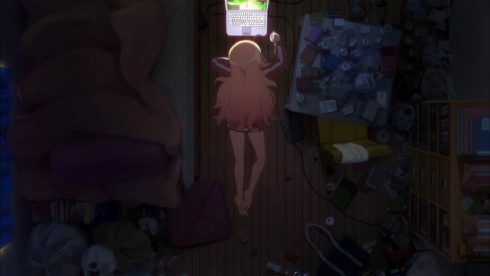 When next we see her she’s changed completely into a hikikomori NEET; spending her days half-dressed playing MMORPGS in her garbage-filled apartment. 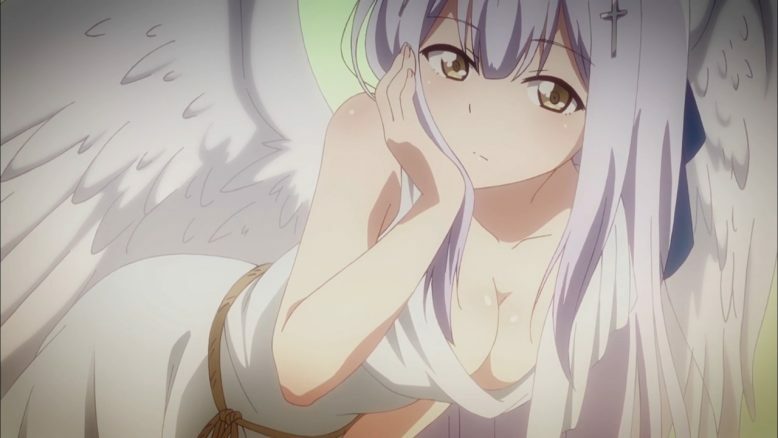 Her cheerful desire to help everyone has been replaced with a cynical disgust at all the humans wandering around everywhere, and she has no plans to ever leave earth and go back to Heaven. 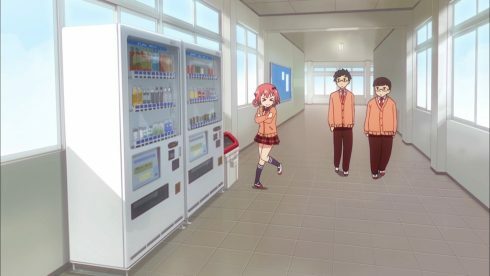 The first episode focuses mainly on introducing the main characters and their dynamics with each other. 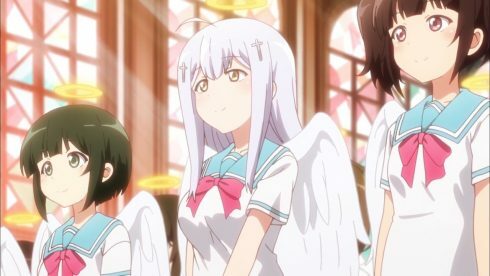 Aside from Gabriel, there are three other main characters. 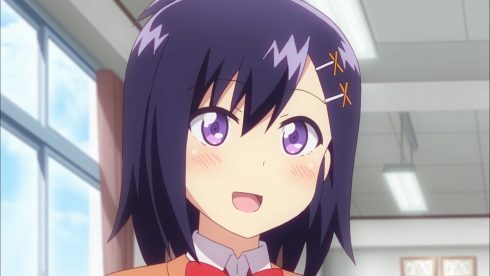 Tsukinose Vignette April (aka Vigne) is the first one we meet, and is probably Gab’s closest friend at school on Earth. She is nice, friendly, caring, sweet, diligent, responsible, always helps people in need, and is really just your all-around good girl. She also happens to be a demon. 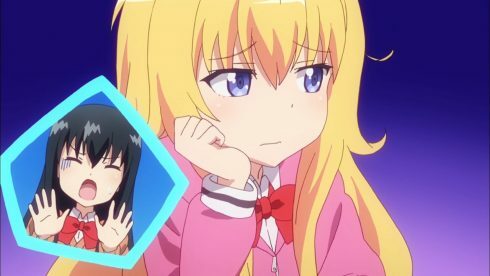 She is more than a little concerned when Gab points out that she behaves nothing like a demon should behave, but she seems completely unable to stop being nice. Frankly, she and Gab would be better off switching jobs. 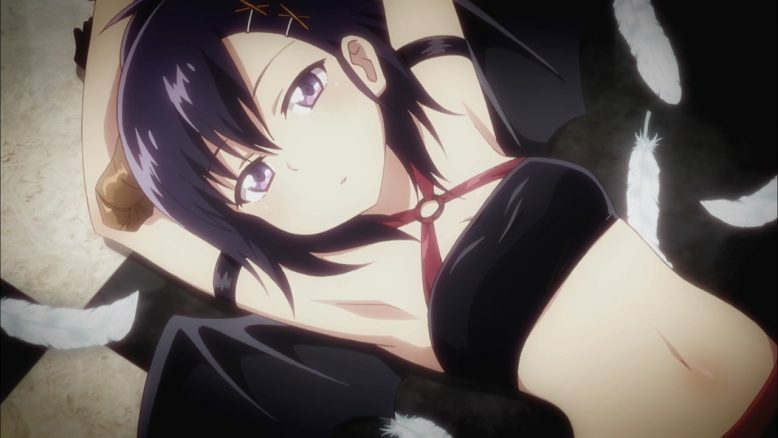 She is also the most “normal” (relatively speaking) member of the main characters, and tends to be the one to play the straight-man when it’s called for. 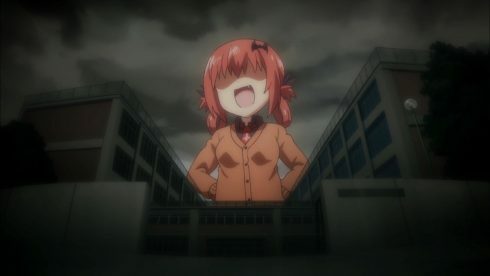 Next is Kurumizawa Satanichia McDowell (aka Satania). 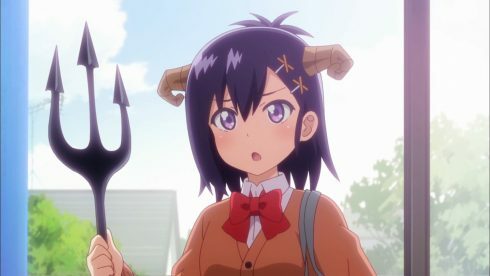 Self-proclaimed future ruler of hell and archdemon, there’s no question what side she thinks she’s on. Her problem is that the greatest evils she can contemplate are things like throwing a plastic bottle into the recycle bin with its cap still on, or pulling someone’s chair out from under them right before they sit down, or deliberately not doing her homework. Frankly she’s just incompetent, and more than a little bit stupid. Her constant self-aggrandizement and inability to live up to it has basically made her the show’s chew toy, and more than a little bit of the humor so far has revolved around the dichotomy between how she views herself and just how pathetic she really is. The final character is Shiraha Raphiel Ainsworth (Raphy). One of Gab’s schoolmates from angel school in Heaven, on the surface she looks every bit the part of a refined and proper angel. However, that beautiful exterior hides the heart of a sadist and a troll, who views people around her as toys to be played with for her entertainment. 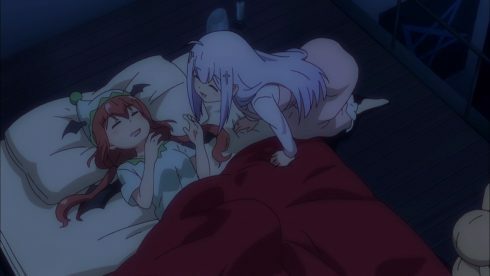 And her newest most favorite toy is definitely Satania, who is too dimwitted to realize when she’s being played with. 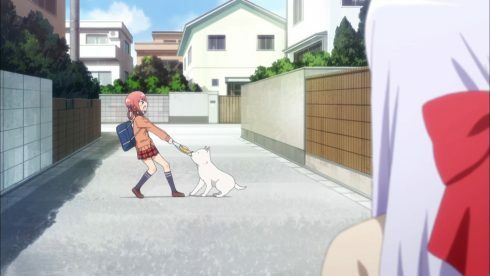 Raphy has, in fact, taken to stalking Satania in order to spend as much time near this fun new toy as she possibly can, and the main cast quickly come to see the twisted girl that hides beneath the angelic veneer. 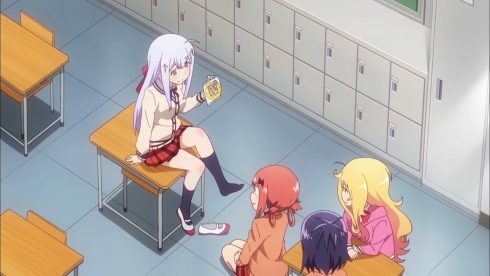 Having introduced everyone in episode 1, episode 2 basically just sets the characters up in various situations and lets the comedy play out from watching their personalities bounce off each other. 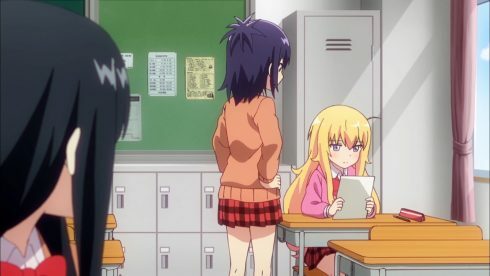 The introduction of the class rep for class 1-B is probably my favorite segment, watching this girl, unaware of the true nature of several of her classmates, overhear an unguarded conversation between Vigne and Gab and try to somehow make sense of it. This poor girl is probably going to be driven insane before the school year ends if she doesn’t either give up on trying to understand them, or have everything explained to her. 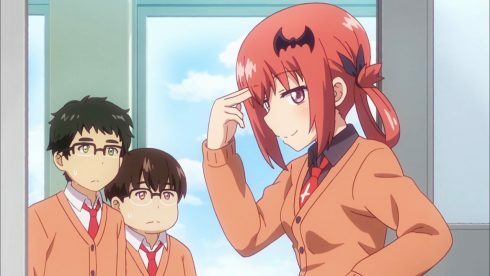 The fact that Satania is also in her class is just going to make things worse. Given what we’ve seen here, I think I can make a fair guess about what we can expect from this series going forward. 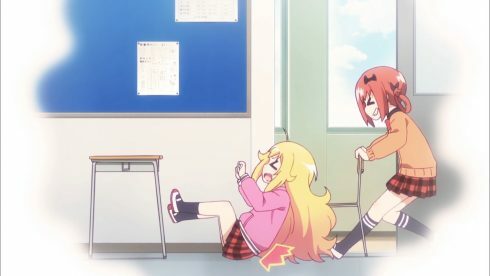 Unlike New Game that had hidden depths which evoked stronger emotional connections to the series, Gabriel Dropout is a pure comedy. 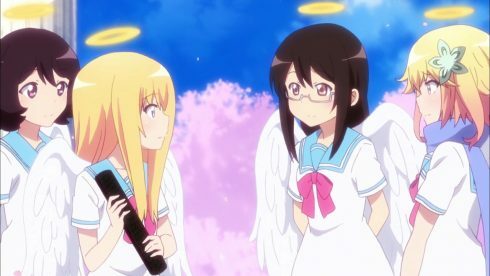 And that comedy is built mainly on the nature of the characters: angels who are not angelic, and demons who are not demonic. They will be put into different scenarios, and there will be various side-characters to comment on or be confused/appalled by their oddities, but the comedy is still based on just letting their personalities out to play. 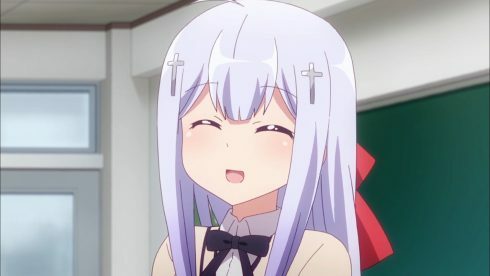 If, like me, you are able to find that funny, if you are able to find the characters amusing and enjoyable, then this series will probably be a good one for you. On the other hand, if this comedy doesn’t work for you, then you probably won’t get anything out of this series. Stuff like this is subjective, and it doesn’t work for everyone. Give it a shot, if you haven’t already. 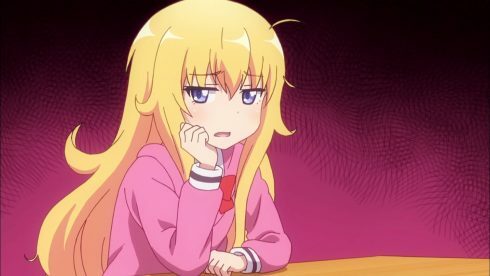 I think what we’ve seen in these first two episodes is going to be a pretty good basic representation of what the rest of the series will be like, so you should be fine making judgements at this point. I like it, and I hope some of you can too. For the record, I have no plans to continue covering this series going forward, but I did want to try to at least give people a heads up about it at the start. By the way, the ED is amazing. Seriously. 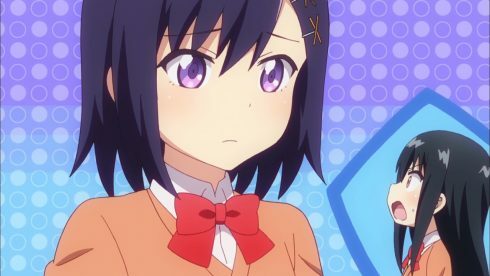 Also, Vigne is my waifu.